The New Year is often a time for reassessment, new beginnings, and reflecting upon the achievements of the year just past. Many find themselves embarking on that health regime they have been putting off, while others will make the decision to completely freshen up their homes. Still, others will want to challenge themselves in a new job and if so, freshening up your resume is a vital step in achieving that particular New Year resolution. When was the last time you looked at your resume? Six months ago? A year? More? It is not that unusual. Most people are of the opinion that a resume is only needed when you want it, and hopefully, it is not that often. But the truth is, it can become an urgent requirement at any time. You may suddenly see that perfect job advertised when you least expect it and you need to move fast. The worst thing you can do is execute a rushed update and submit a below-bar application simply because you were unprepared. Even if you are not considering an immediate move, it is a wise choice to keep your resume updated with the knowledge that your resume is the best it can be. At Select Resumes, one of our popular services is the update. What we find is, that since their last resume was written, clients have mastered a range of new skills, competencies and perhaps even qualifications. All of these elements are important and need to be reflected in a resume update. The best way to showcase them is by adding a key achievement. We use the STAR system which is an acronym for Situation, Task Action and Result. The SITUATION is your work environment, your department, the work you do and will then focus on a particular aspect of your role – the TASK – you were faced with that has congruency with the role you are applying for. The ACTION is the sequence of duties you undertook to meet the requirements of the task, and the RESULT is the tangible, measurable result of the actions – money saved, sales increased, productivity raised. These stories give your resume its beating heart; it showcases you as an individual, not just a list of qualifications and jobs. They are a great way of packing a huge amount of vital, noteworthy information into one knockout paragraph. And what’s more, they get you shortlisted for interview. Our writers will look over your existing resume – whether it was prepared by us previously or not – and then arrange a telephone consultation with you. We’ll carefully go over the existing text to see if some of the information is now redundant and then begin the work of refitting it to reflect your increased capabilities and skills. While we are dusting off your documents, you may wish to consider our range of exclusive design templates to give your new resume a professional, creative touch that will make a genuine difference to being noticed in the selection process. And if you are updating your resume, you may want to consider updating your LinkedIn profile too. 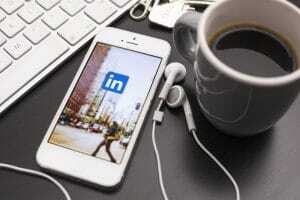 Used properly, LinkedIn is an incredibly powerful professional networking tool that can significantly improve your ability to find a fitting employer and for them to find you. But, like social media, it is only as good as the effort you put in. Do you keep it as up to date as you should? Do you simply go on occasionally and congratulate peers who are nailing the jobs you wish you had? We will take a look at your existing profile (or help you create a new one), and give you the tools to help you keep it updated. We find that many people simply make a profile then adopt a reactive attitude to the site, looking at it every so often to see who’s doing what, congratulating friends and peers and so on. But by making the simple change to being proactive and extolling your achievements to an audience of industry peers can have a remarkably transformative effect, sparking conversations that could lead to exciting new directions. 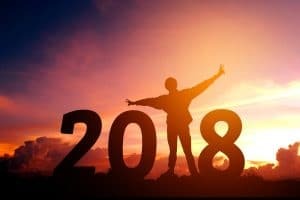 So why not unlock your full potential and make this New Year a positive one and take a step in reinventing your professional profile to reflect all its possibilities? Contact Select Resumes today and let us give you a very Happy New Year!